What leader hasn’t faced tough times? The true test of leadership — whether you’re heading up a global corporation, a struggling start-up, a team or a company of one — is how you confront crises and cope with change. When I became chairman of Nokia in May 2012, things were about as bad as one could possibly imagine. Four years after the introduction of the iPhone and the Android operating system, our mobile phone revenues were plummeting daily. Only a year after laying off 10,000 workers, we were planning another round of painful layoffs, the biggest in the company’s history. Our share price was an agony to watch: It had lost more than 90 percent of its value. All companies run into trouble at some point. You’ll have a better chance of recovering sooner and less painfully if you fine-tune your early warning system. Implementing these five steps will help you respond sooner and smarter — and maybe even sidestep the worst of the trouble. 1. Start with trust. Especially in turbulent times, trust both greases the gears and is the glue that holds everything together. Trust stems from one core value: “Always assume the best of intentions from others.” When someone says something you don’t want to hear, pause before reacting. Ask questions to clarify the situation. Be open, honest, and direct in your response, and expect the same from others. Of course, this is easy to agree to but more difficult to actively live. But agreeing to this rule provides the leader with the opportunity after a verbal annihilation to take the criticizer aside and have a constructive discussion: “Let’s talk about what happened in the meeting. Did you really assume the best of intentions from that person?” When people trust they won’t be cut down or criticized, they’ll be more willing to speak up, whether it’s to raise a warning flag or propose an innovative idea that just may save the day. 2. Seed a sense of ownership. Trust is the seedbed for a sense of accountability. I often ask audiences, “How many of you have ever rented a car?” Almost everyone raises a hand. Then I ask, “Who has ever washed a rental car?” Most people don’t, because they don’t have a sense of ownership for that car. If you feel your workplace is the equivalent of a rental car — that it’s just something to get you from one place to another in your life — then you won’t go the extra mile or care about what the company does. But when you feel ownership, you feel accountable, regardless of your role. You’ll wash the dirty car. That’s the culture you want to embed in your team or company: One in which people report their worries before it’s too late. 3. Face facts. One of my favorite sayings is, “No news is bad news. Bad news is good news. And good news is no news.” Facts are always a welcome opportunity, never a negative. When someone brings you bad news, don’t let your frustration show. Steel yourself and thank them — sincerely. This way, you encourage them to share bad news early in the future as well. And when you can help people to fix the reason for bad tidings, you motivate them to continue to bring you bad news. 4. Think in alternatives. Make a habit of constantly imagining and even manufacturing alternative scenarios, both negative and positive, as well as identifying the actions associated with them. When someone presents only one plan with no alternatives, I’ll ask follow-up questions: “What if this doesn’t work? What would we do then? What might make this not work? 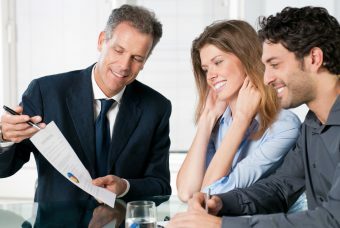 What signals would alert us as early as possible that this might happen?” Even if they don’t have answers to these questions – and perhaps especially if they don’t have answers to these questions – they will be sure to think of alternatives for the next scenario, and ask their reports and colleagues to think of alternatives. What starts with the CEO becomes an integral part of everyone’s strategic thinking. 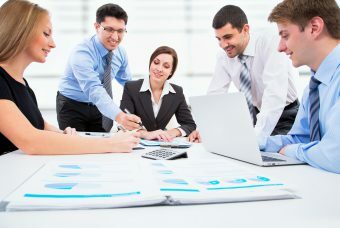 Cultivating this discipline has multiple benefits: It reduces anxiety, because crafting an action plan is not as scary as facing an amorphous threat; it minimizes the chance that you might overlook something important; and it makes you quick to react to whatever happens because, even if the worst case occurs, you will already have a response ready to implement. 5. Be a paranoid optimist. Paranoia and optimism might seem diametrically opposed, but in fact they go hand-in-hand. Because you’re paranoid, you assume there will be problems. 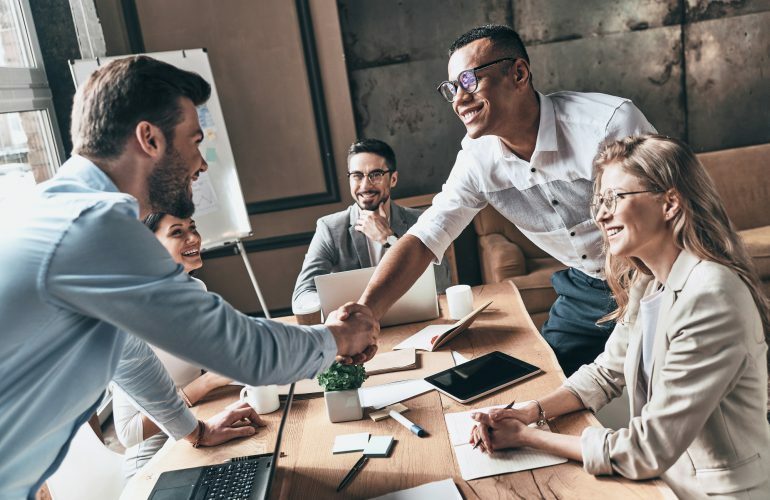 Precisely because you have explored a full spectrum of scenarios, you’ll be prepared with strategies that enable you to minimize or even pre-empt those problems. As a result, you can radiate an unwavering certainty of eventual victory because you have already imagined the worst and have constructed a response for every eventuality. I often say that sincere optimism in a leader is contagious. 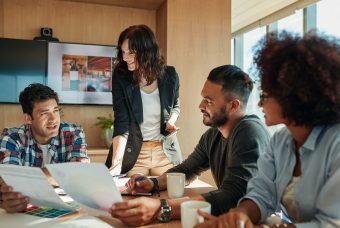 Infecting your organization with paranoid optimism will create a high-performance, strategically thinking, responsive organization that will not be taken by surprise. At Nokia, these precepts served as our compass through chaos, helped us respond rationally when it would have been easy to panic, and enabled us to adapt to constant change when the conventional way of doing things would have sunk us. They sharpened our foresight, expanded our options, shaped our reinvention and continue to guide the company today. 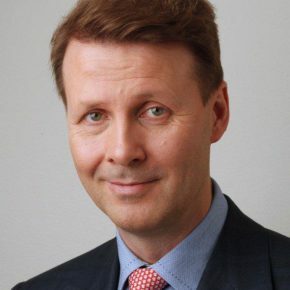 Risto Siilasmaa has been chairman of Nokia since 2012 and is founder and chairman of F-Secure. 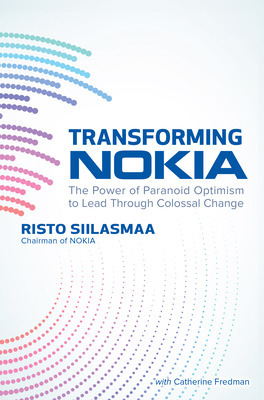 He is the author of Transforming NOKIA: The Power of Paranoid Optimism to Lead Through Colossal Change. He led Nokia in one of the most successful corporate reinventions to date.